>Quick congrats to Piedmont’er Amy Ruiz who has left the Portland Mercury and joined new mayor Sam Adams’ staff! Piedmont’s own Jonathan Maus’ site BikePortland.org has more HERE. 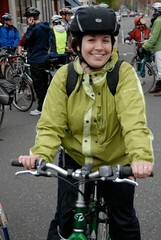 This entry was posted in Notices and tagged Amy Ruiz, Bike Portland, Jonathan Maus, Sam Adams by Noah Brimhall. Bookmark the permalink.